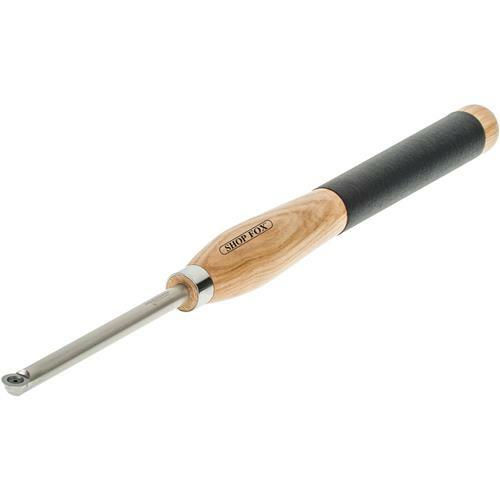 Step up to these quality carbide insert tipped lathe chisels to take your turning to the next level. The solid ash handles are comfortable in the hand and the rubberized grip provides firm control. Reduce your down time from dull chisels by simply rotating the cutting edge to a fresh, sharp surface. Then merely replace the tip with a new cutter when all the factory edges have dulled. Overall length is approximately 21". Round turning tool.